Editors' Note: There are two photos associated with this press release. 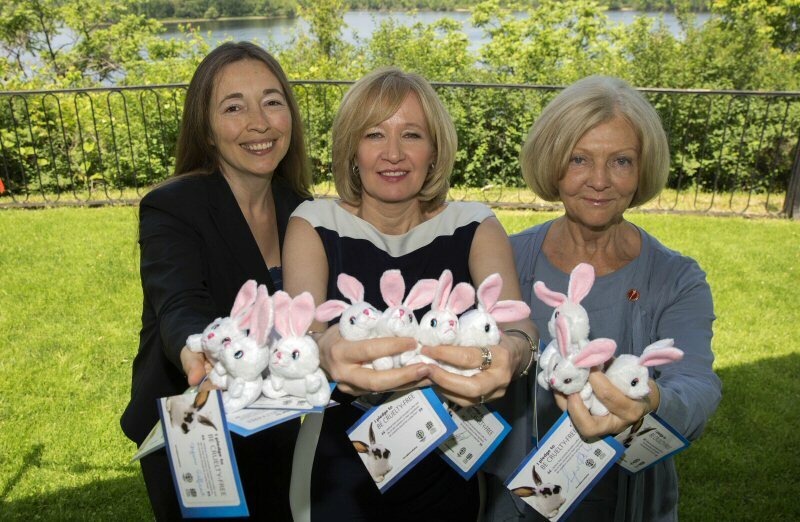 Today Senator Carolyn Stewart Olsen (Conservative - New Brunswick) launched a bill to prohibit animal testing for cosmetics in Canada, as well as the sale of cosmetic products or ingredients that have been newly animal tested in other parts of the world. The Cruelty-Free Cosmetics Act is a product of intensive discussions with the #BeCrueltyFree Canada campaign led by Humane Society International and Animal Alliance of Canada, who thank Senator Stewart Olsen for her support for this landmark legislation. Senator Stewart Olsen stated: "This is a great day for Canada and demonstrates our government's commitment to ethical beauty and improved regulatory alignment in the cosmetics sector globally. This is an important first step and I look forward to working with Canadian stakeholders over the summer toward further improvements in bill language." Troy Seidle, director of research and toxicology for Humane Society International, said: "Today is an historic day for animals in Canada thanks to Senator Stewart Olsen's leadership in championing this progressive legislation. We look forward to working with Senator Stewart Olsen and our national industry to make Canada the next country to #BeCrueltyFree." Liz White, director of Animal Alliance of Canada, said: "Canada is now the latest country to join the #BeCrueltyFree global movement. We still need to see promises turned into action for animals, but this is certainly very exciting progress. We hope to work with Senator Stewart Olsen and industry to make the legislation a reality." The Food and Drugs Act requires that all cosmetic and other personal care products sold in Canada be safe when used as intended, but does not specifically require animal testing to substantiate safety. Animal testing for cosmetics has been banned across the European Union, Norway, Israel, India and New Zealand, with similar measures currently under discussion in Australia, Brazil, South Korea, Taiwan and the United States under the leadership of #BeCrueltyFree campaign teams in these countries. 88 percent of Canadians agree that testing new cosmetics is not worth animal suffering, and 81 percent of Canadians support a national ban on animal testing of cosmetics and their ingredients, according to polling by the The Strategic Counsel of behalf of Animal Alliance and HSI. More than 500 cosmetic companies are certified "cruelty-free" in North America, avoiding animal testing by relying on thousands of existing ingredients already established as safe, combined with available state-of-the-art non-animal test methods. An ever-growing number of alternatives to animal testing have been developed with financial support from governments and industry, and accepted by regulatory authorities. Examples include human cell-based models for skin and eye irritation, skin allergy, skin absorption, genetic toxicity, and sunlight-induced "phototoxicity". 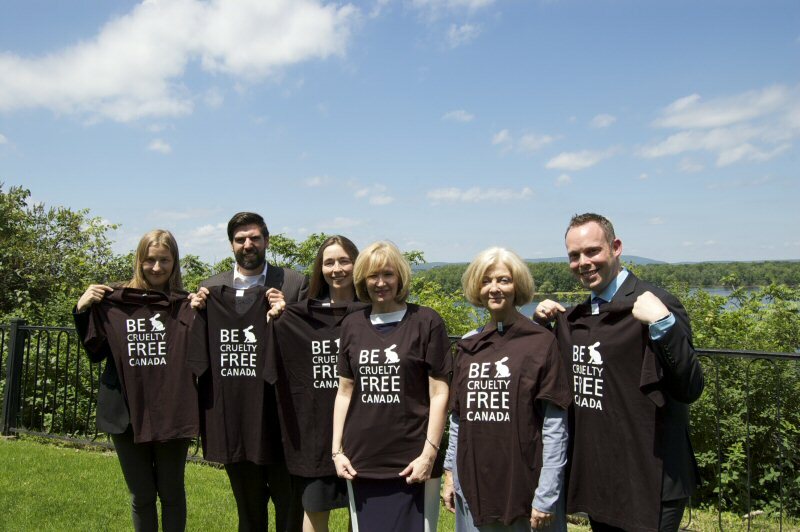 #BeCrueltyFree Canada is part of the largest global campaign in history to end cosmetics animal testing for cosmetics - online at becrueltyfree.ca. The Canadian campaign is led by Humane Society International and Animal Alliance of Canada. Globally there are #BeCrueltyFree campaigns in Australia, Brazil, Canada, China, India, Japan, South Korea, New Zealand, Taiwan, and the United States, where the campaign is led by The Humane Society of the United States.